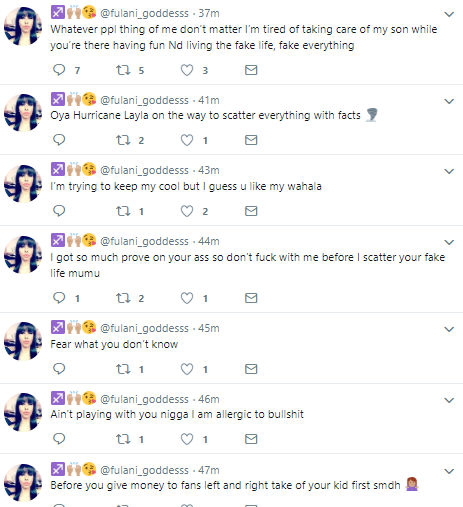 TeddyA's babymama, Layla Amanii, has taken to twitter to slam him, accusing him of neglecting his son's needs and being a deadbeat dad to him. The 30 year old singer who rose to fame on the concluded Season 3 of Big Brother Naija ‘Double Wahala’ show, has a four year old son with Layla and revealed this information during the BBnaija show. 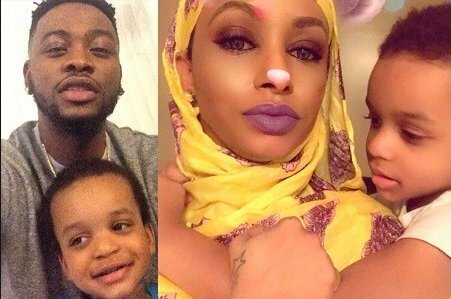 Layla is holding no words back in the ongoing twitter callout of TeddyA, according to her, she is tired of taking care of her son alone while he lives a fake life, having fun here and there. See also went on to accuse Teddy of being a deadbeat father to their son, claiming that he has only sent money for his son’s upkeep once. 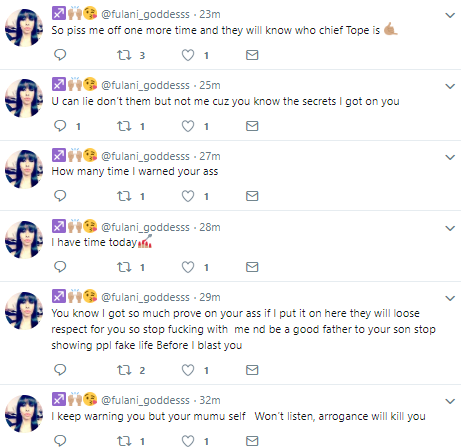 She also went ahead to threaten him, stating that she had secrets that can make people loose respect for him.